Protecting your privacy and accessing online content freely can be a challenge considering that surveillance and censorship affect internet users around the world. Even if you live in a country where internet is not heavily censored, you probably have come across geographical restrictions that prevent you from accessing the content that you want to watch. A VPN is an effective solution to overcome these restrictions and enjoy a secure and private internet connection. Running a VPN requires a high investment of time and money, which is why most services require a subscription. While there are free options out there, they come with many limitations and will often spam you with ads. The good news is that there is a provider that gives users the possibility of enjoying the advantages of a VPN in a simple way and without registration or fees required. If you can’t or don’t want to pay for a VPN service, Betternet can be the answer because it offers a convenient free service. The provider is based in Canada and it aims to offer a safe and efficient solution to keep your privacy protected and bypass restrictions. Here is more about Betternet. Betternet focuses on offering mobile users a convenient solution to protect their data on the go and to defeat online restrictions. The service supports Windows, but its Android and iOS apps take the spotlight. The Windows client is fairly simple, but it offers options like DNS protection and auto-reconnect. One of the main advantages of Betternet is that in spite of being a free service it doesn’t spam you with advertisement. In order to make their business sustainable, their apps offer the option to install free sponsored apps. For each app that is installed, Betternet gets a commission from the app publishers. They also earn money whenever you watch the short videos that are offered on their apps. Although the apps can be downloaded for free, iPhone and Android users have the option to upgrade to a Premium service that is very affordable. This is another way in which Betternet maintains its network in operation. The premium version of Betternet costs $4.99 per month and if you opt for a full year of service, the monthly price is reduced to just $2.50 per month. The free version of Betternet has a limited selection of locations, mainly in the United States, but the premium plan gives you access to servers in 10 countries including United States, Hong Kong, Netherlands, Australia, United Kingdom and Canada. There are no ads and you can connect up to 5 devices simultaneously. The iOS and Android apps are designed to offer a simple and effective solution to access blocked content and to protect your connection. The service focuses on the basics, but there is one feature that sets Betternet apart from other free solutions. They allow P2P and while they comply with DMCA takedown notices, they do it without disclosing users’ data. The fact that Betternet supports downloads will attract many users who want to protect their privacy while using torrent services. While the free version of Betternet works well, the Premium plan offers better speeds, which is understandable given that the free servers are used for a larger number of customers. Unlike other free solutions, Betternet offers a strong level of security to protect your online traffic. They support OpenVPN with AES-256 encryption, which is ideal to defend your privacy from eavesdroppers, hackers and anyone who tries to intercept your data. OpenVPN is known as the most secure protocol and the strong encryption that Betternet offers will keep you protected when you are online. A high level of encryption can slowdown your connection so if you prefer speed over security for streaming, gaming or downloading, you can opt for IPSec, which uses 128-bit AES-CBC. This still gives you a good level of protection (just not as strong as OpenVPN with AES-256) and will allow you to enjoy media content without issues. . The fact that Betternet is based in Canada, which is part of the Five Eyes surveillance alliance, may concern the most privacy focused users. However, Betternet promises not to store details of your usage of the service and it states that DMCA requests are handled internally without compromising the privacy and identity of its users. One thing to consider though is that one of the ways in which they support their free service is through third-party advertisers who may access your cookies. For most users this would not be a major issue and Betternet makes every effort on its side to offer privacy, but it is something that should be kept in mind if privacy is your priority. Betternet offers a comprehensive FAQ section and a Help Center to assist customers with their queries. There is also a community forum where you can find useful information from other users. If you need to get in touch with Betternet, you can expect prompt attention as Betternet uses Zendesk, a platform designed to facilitate professional customer service. They promise to respond to queries within one hour. Betternet offers flexibility in terms of encryption (you can opt for tough or less encryption, depending on your needs) and it offers all the necessary features to protect your privacy, which is remarkable considering that it is mainly a free service. The premium plan gives you access to 10 countries and while this may seem limited, they have many servers available and cover key locations. Betternet is open about the way in which the service is financed and on how privacy is handled. If you don’t have previous experience with VPNs, Betternet is ideal as it allows you to become familiar with this technology. 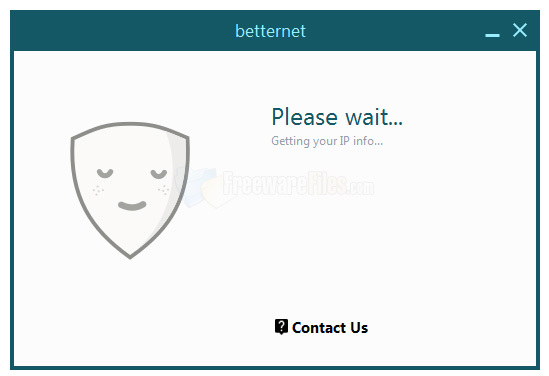 Whether you choose the free or the premium version, if you are mainly looking for a practical solution to stay secure while using public WiFi and unblocking online content, Betternet is a very good option.